and many other cities in Ohio and Indiana. Let Captain Jack entertain your kids and your guests at a children's birthday party, pirate party or special corporate event in Cincinnati, Cleveland, and the surrounding areas in Ohio. 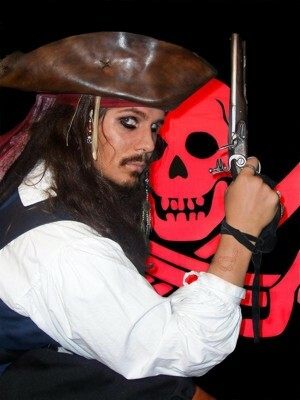 For the ultimate pirate party or an unforgettable event in Ohio, hire our professional Captain Jack Sparrow* impersonator entertainer for your very special occasion. Jack is always a hit at every event he appears. All of our Jack Sparrow impersonators are experienced actors and entertainers and will bring the captain alive at your event. Adults and kids of all ages love Jack Sparrow and interacting with him in various piratical activities. Jack is a perfect choice for a fun children's birthday party or any kind of party or corporate event in Ohio. 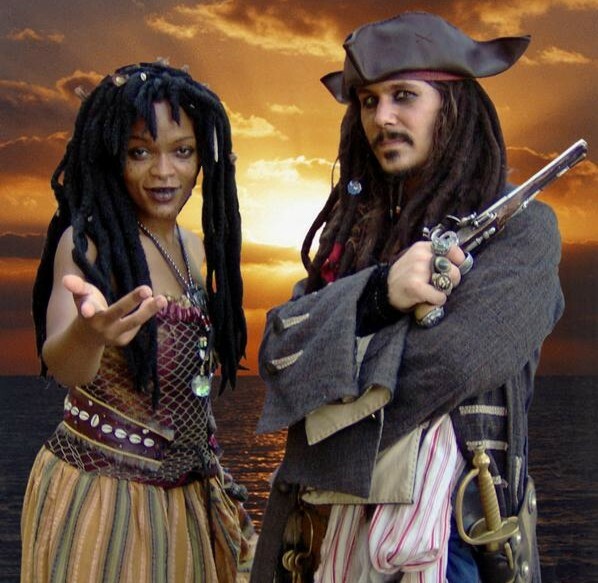 Hire the best Jack Sparrow impersonator, pirate band, pirate show or other pirate characters to entertain at your pirate party or corporate event in Ohio. $250 for Jack, one hour for events near Cincinnati. What Happens at a Pirate Party?